is there any chance meeting Muppets in Tokyo Disneyland ? if yes, what will be the period? Any word on an opening date? Will be there in early October. Thanks! This is a Great thing Disney is doing…and here’s why: When they discontinued the “Fife & Drum Corps” show at Epcot it was a sad day for sure. All the children who saw it (and were a part of it) got a very nice education on the history of the birth of this Nation. At the end of the show the children would receive their own personal copy of The Declaration of Independence. This was a very Good thing because our children were learning something extremely important, in a time when the schools aren’t doing such a great job of teaching them about American History. So I’m very happy to see this coming to the MK. I was just there, so I’ll miss the opening, but that’s a great incentive to go back soon!! Nice to have the loveable Muppets mixing humor with American history. Another awesome idea, Disney Imagineering!! Love having more Muppets in the parks. I can’t be more excited to see this show. This sounds like a great show! There’s no one more appropriate for Liberty Square than the most patriotic American there is — Sam Eagle! Will this take place at regular times throughout the day (like every hour), or will there be only a couple of performances each day? Any idea if it’ll last through the end of the year? Ana – Yes, this is an addition to the regular, year-round lineup of entertainment at Magic Kingdom Park. Sounds like fun. I’m curious on how this is going to affect traffic flow in the area. Will the Muppets acknowledge the “yellow river” flowing thru the square? Any chance this would open the door to a meet n greet or photo op with the muppets? Is there an exact opening date yet? My family & I are going in October & I’m hoping we won’t miss it. any chance this will happen first week in Oct!! I hoping so because that is when my trip is, keeping my fingers crossed! Yay! My husband and I love the Muppets and were so sorry to see the new TV show cancelled, as we really enjoyed it. This is awesome news! We look forward to seeing them on our next WDW trip in December!! Very cool. I love the Muppets. But what about Disneyland Resort? Will there be any Muppet shows coming to California? Please say that a similar show will be coming to Disneyland Resort! The Muppets deserve to be represented in the California parks too you know! Melissa – This show will be performed outdoors along the main pathway through Liberty Square, so you won’t need to arrange for Fastpass+. Just show up and enjoy! The Muppets are awesome. A show is a great idea, and I know next time I go I’ll see it. Would there be a meet and greet type opportunity, i.e. take pictures with the muppets? So excited about this addition! Finally live Muppets In the parks on a daily basis. This is the most exciting immersive use of the acquisition ever. I will be there to see the first performance! Thank you! If this was at the Studios (which wants to build up its Muppets area with the new retheming), I’d be doing handsprings. But at Liberty Square, it’s a bit out of place. There’s not much in LS except for the Hall, some shops and the Riverboat, and it needs the immersive theming for new guests to get the idea. Not to mention, the temptation to make Sam the Eagle’s jokes about HoP’s image being for patriotic squares would trivialize LS’s and the Hall’s unfair reputation as “Bicentennial kitsch” further, and us loyal Hall fans are already a little oversensitive about that. I am so excited. My family will be visiting Walt Disney World this October and will definitely watch the show if it is running my during our vacation. Disney execs: more Muppets in the parks, please. YAY! I’m so excited! I absolutely LOVE the Muppets. Very sad that their show on ABC was cancelled, and so happy to hear the Disney Parks investing in them! 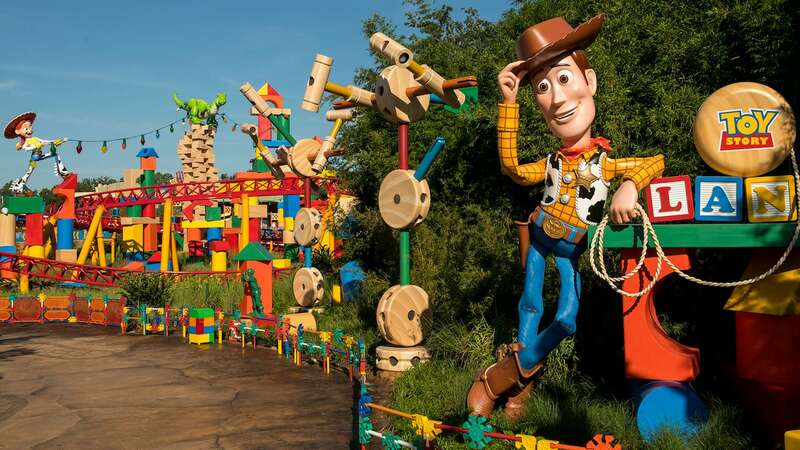 I can honestly say hearing this is the most exciting announcement from WDW in a long time!!! I LOVE the Muppets!!! Can’t wait!!!! We are there until 5th…crossing our fingers we might get to see this, sounds awesome! This sounds fantastic! Can’t wait to see it! My oldest son he absolutely adores presidents!!!!! He has every single president memorize was five years old and I bet nobody could win against him. When we brought him to Disney World when he was in kindergarten He was so excited the very first thing he had to go see with the hall of presidents ?. I am positive that the next trip we take to Disney World our very first stop will have to be the hall of presidents again With this new addition . Holly – That’s so great. And who knows… maybe your son will be the President himself someday! Our trip ends on October 1st! Nooooo! Any chance the first show will be the morning of the 1st so we can see it? Janet – It’s a great, classic attraction. I recommend it! 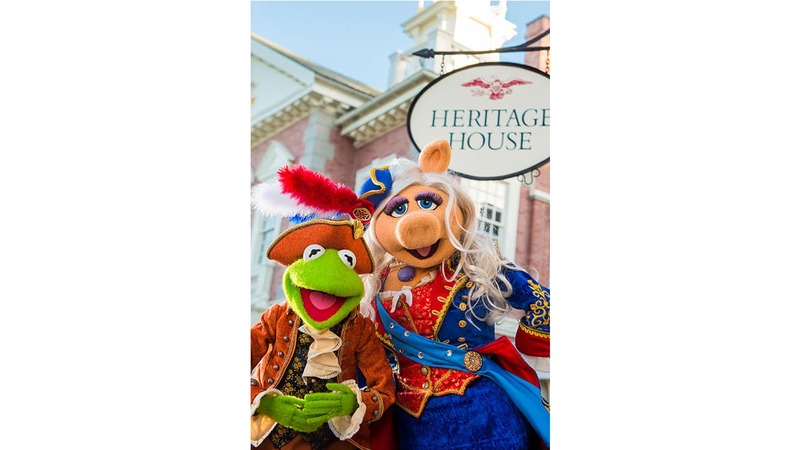 This new show with the Muppets will take place just outside The Hall of Presidents. Does this show have “socially redeeming value?” If this is successful, perhaps Epcot can get a Muppet salute to all nations, but mostly America. Is this going to be there all the time , or is it just in October? Terry – This will be a new, regular addition to the entertainment lineup at Magic Kingdom Park. I am so completely 100% THERE!!! We already had a trip planned in October; I can’t wait! As a history buff and a Muppets fan, I am absolutely ecstatic about this news. I adore the Muppets! This is a crazy question, but any chance this project might get finished early? As in September? We’re just going to miss the opening. Stacy – I’m sorry to hear that. The team is working hard toward an opening, but it won’t be able to happen until October.